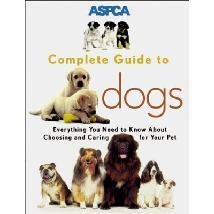 "The ASPCA Complete Guide to Dogs is the ultimate authoritative source for information for dog lovers." "Cats need good medical care and cat guardians need clear, expert advice on how to provide that care. The Cat Care Book addresses nearly every problem cat guardians face." "The Bird Care Book has helped tens of thousands of bird guardians keep their birds in good health while saving worry, time and money." This book is "For All Children Everywhere Who Love Their Dogs." Children are invited to write in this book. For example: "Here is a drawing of what I think my dog dreams about." Here is a book everyone in your family will want to get their paws on first. Be sure to look at this book while everyone in your family is cat-napping. It's a keepsake album about your cat, with lots of room for everything from memories to medical information. The way you experience the animal world will never be the same again. Zoo Clues takes you behind the scenes in this guidebook designed for children, their parents and their teachers.